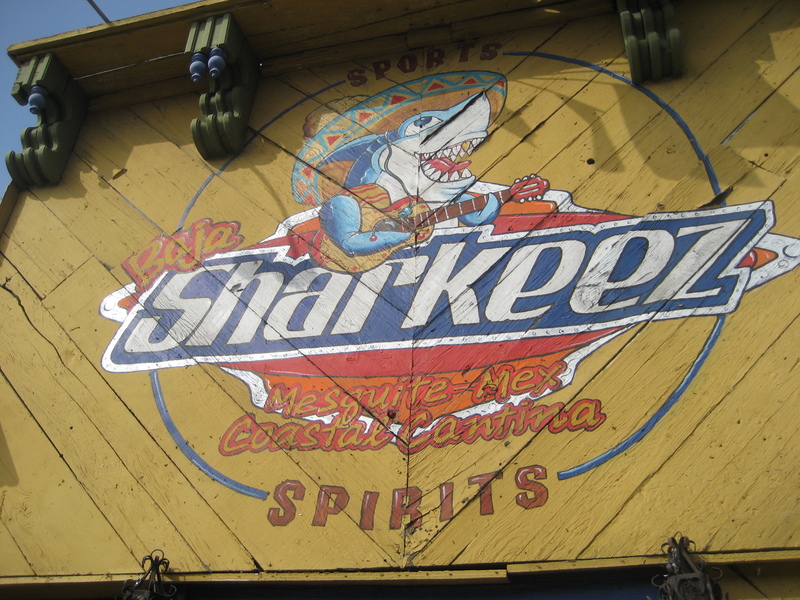 The sombrero-wearing shark mariachi and the full name of “Baja Sharkeez Mesquite-Mex Coastal Cantina” tell you straight up that this bar’s identity is anchored far from the South Pacific. 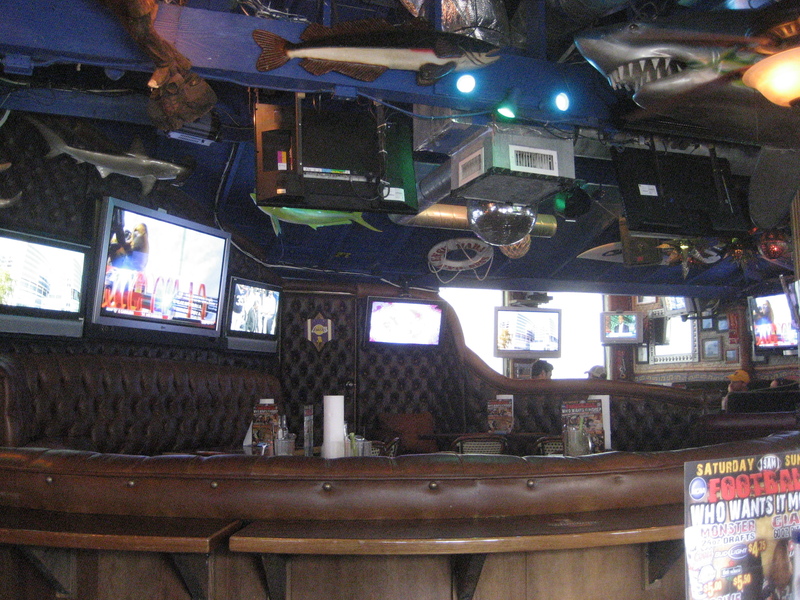 That is to say, Sharkeez in Manhattan Beach is far from a tiki bar. 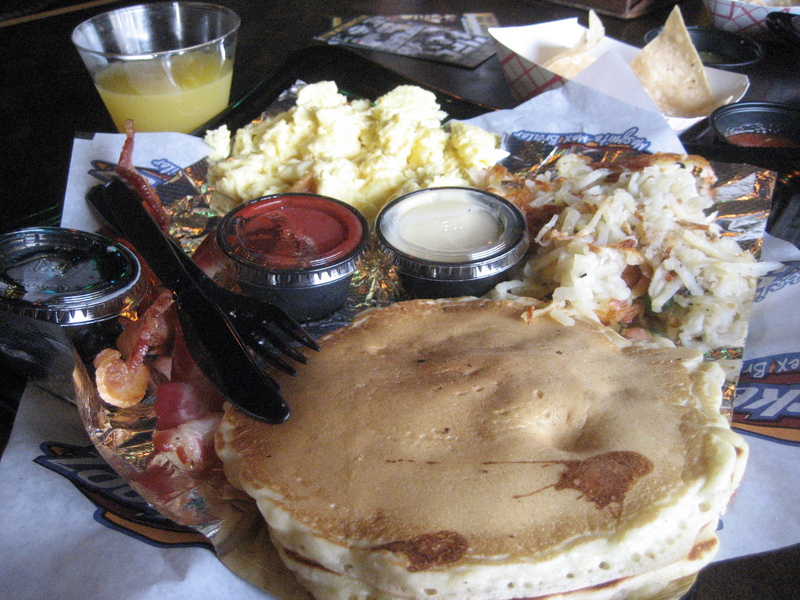 But what keeps me coming back to Sharkeez is the weekend “Rise & Shine” breakfast special. Before 11:30 a.m. you can get eggs, bacon, hashbrowns and french toast or macadamia nut pancakes for $4, plus as many plastic cups of mimosas as you care to drink in an hour. A word of warning to would-be brunching wenches—the former fratboys still show up this early in the morning to cheer on their alma maters. 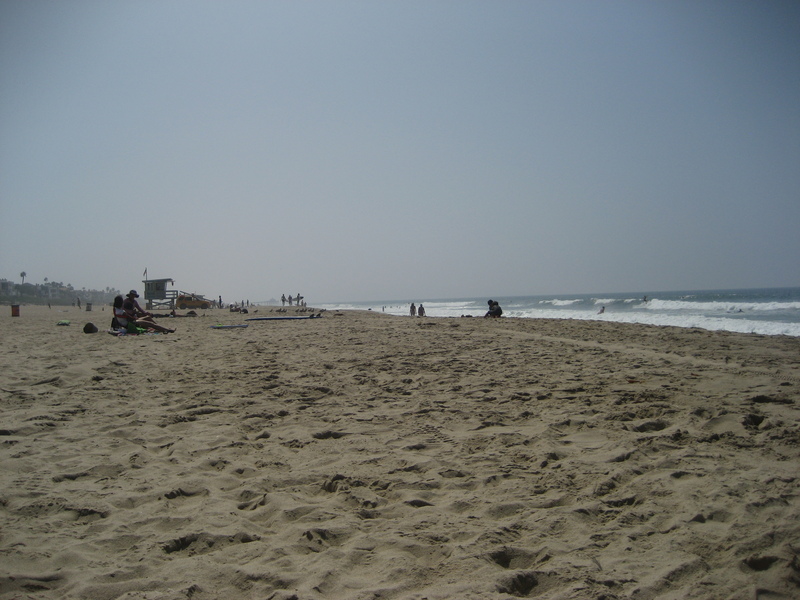 The last time I was there, one even sat down at our booth uninvited and proceeded to finish a half-eaten piece of bacon off my plate. 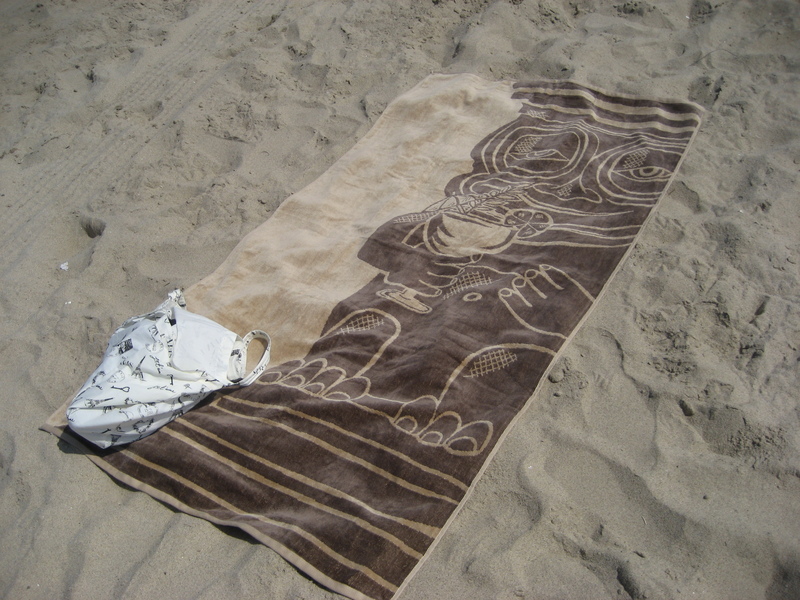 Afterwards, just stumble down to the beach and sleep off the cheap champagne for awhile…preferably on a tiki towel! What did you name your Home/Backyard Tiki bar? 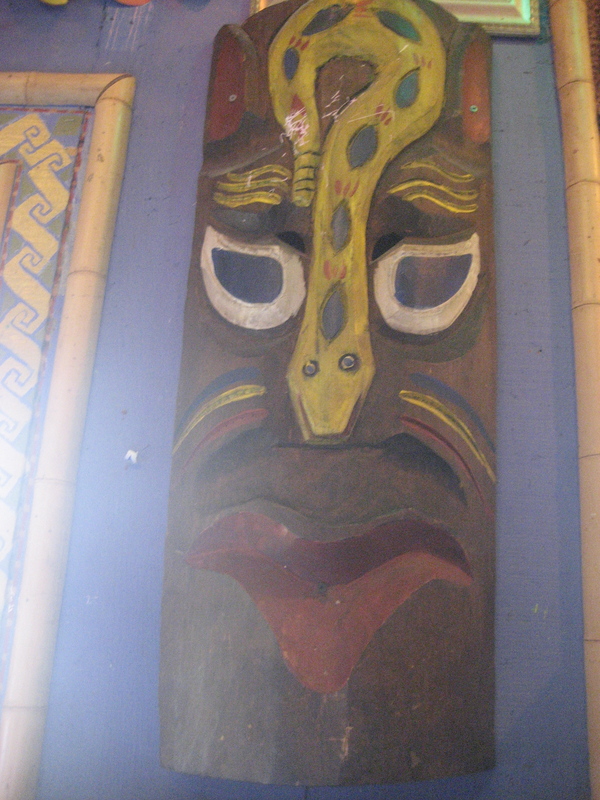 Recently, I have been getting alot of requests from my customers to help them create a name and theme for their new Home Tiki Bar. 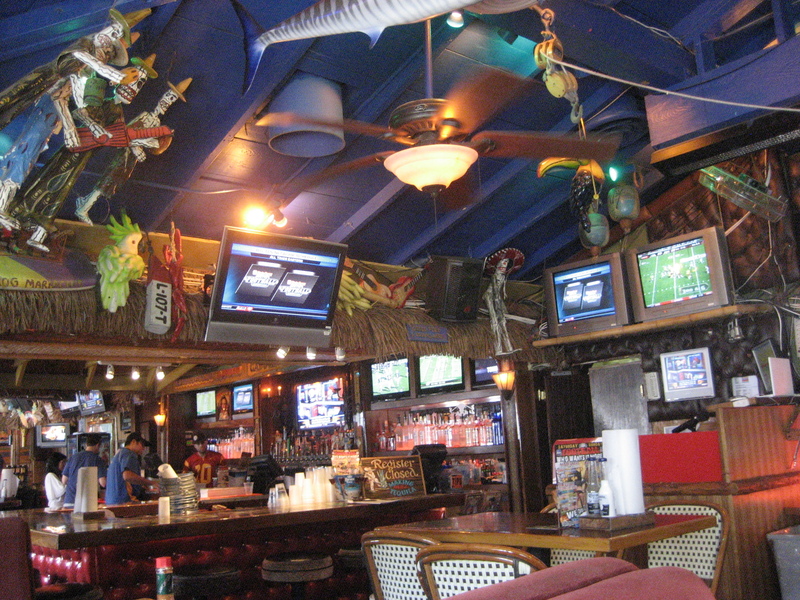 Please comment on what you named your Tiki Bar or Tiki Hut and where you found the idea! Ah, the ol’ frat boy mentality. 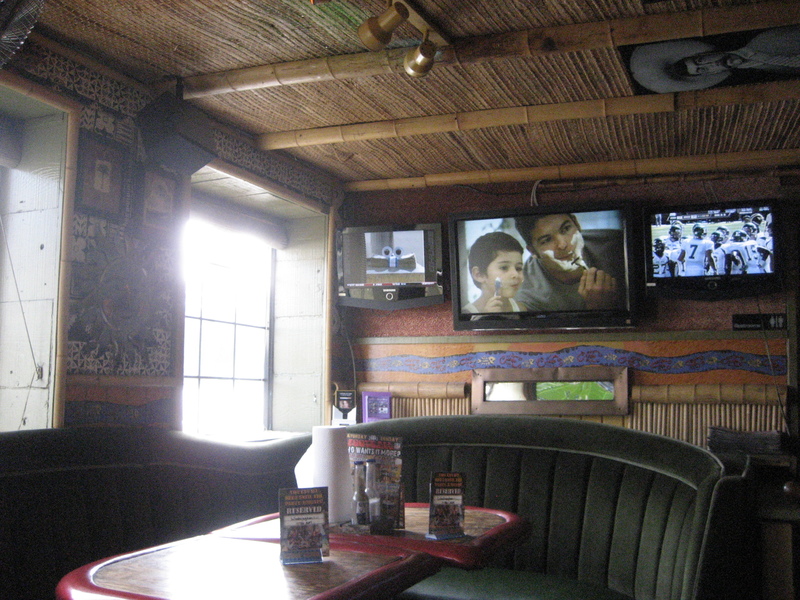 I tried to think of something more creative and tiki-esque, but the name that stuck was “Ralph.” Because, well, my tiki bar came from Ralph’s, ha. Y U NAUT NAYME ET CHRLY? I DONOT WAYNT UR PETZ ENYMORE. OK, IZ LIE. GIVES DEM 2 MI.